I had an excellent experience. I had set everything up beforehand over the computer and when I arrived for my appointment the car and paperwork were ready. I was out of there with my new car in under an hour!I will definitely be shopping there again! Was how it usually goes buying a car stressful lol but wasn't to bad worked with Freddy he was straight to the point and listened to what I wanted. He worked hard to make sure I was happy. And I was happy. He was able to turn my upside down car trade in with high miles for a 2020 Corolla with the payments I wanted. Thank you . I have a 2005 Toyota Prius with almost 300 thousand miles on it. I was driving the vehicle and the dash board lit up with warning lights and the car shut off. I was thinking it couldn't be the batteries because I had those changed out almost four years ago. I had the car towed to Toyota of Riverside. The car was there for three days and the techs couldn't pin point what the problem was. A few days later they called me back and stated they figured out what the problem was and it would be fixed in a day or so. I was thinking great it's something that's fixable and I'll have my car back soon enough. While my vehicle was there I asked the service rep if he could check my key phob because it would work unlocking the door and sometimes it would not unlock the door and the panic alarm would go off sometimes. I called back a day or so and left a message inquiring about the car and key phob. A few days past no response back so, I finally just went down to the location to pick my car up being that it's my commuter car and I needed it back. I got there and the key phob was missing some pieces. The techs looked for the key pieces but unfortunately they were not able to locate the pieces. I then spoke to Even Burkett who is the Assistant Service Manager. He told me to come back the next day because my key was missing pieces he would get me a brand new key phob free of charge to make things right. I came in the next day and Even a man of his word took care of me and did exactly what he said he would do. He had a new key phob programmed for me and had my car washed and cleaned. Even didn't just make me feel like a customer coming to get my car worked on he made me feel like a valued customer who came to get his car worked on. I will definitely return for anymore needed service thank you Even Burkett for making things right awesome Service Manager. This was one of the easiest car buying experiences I have ever had. I worked with Freddie Aridi who was up front, honest, and delivered exactly what he said he could do. I told him what I wanted to put down and what I wanted my monthly payments to be. His response, "No problem". When it came time to finalize the deal, there were no surprises or "bait & switch". My down payment was what I expected and my monthly payments were also what I expected. 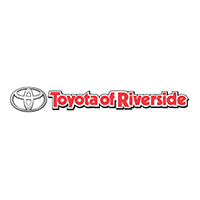 I am very happy with how I was treated by all of the employees at Toyota of Riverside and based on my personal experience, I highly suggest this dealership if you are in the market for a Toyota.